Enjoy downloading the Speciality Party Free Flyer Template created by Flyerheroes! The Speciality Party Free Flyer Template is a Free PSD Flyer to use for your next dance club and party event. It is a perfect flyer design for your upcoming music party and club events. Furthermore it suits perfectly for any other kind of DJ party, club, or music event. 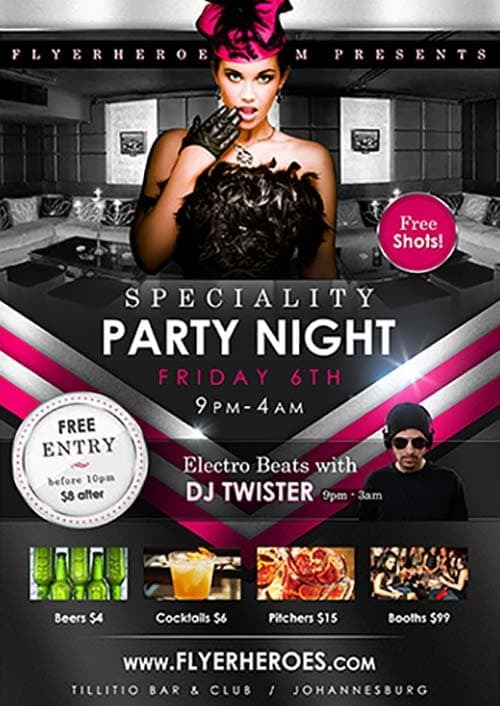 Check out this amazing Speciality Party Free Flyer Template for Photoshop! Take advantage of these ready-made and easy to edit freebies. Create amazing flyer and poster templates or create stunning social media banners for your party events.